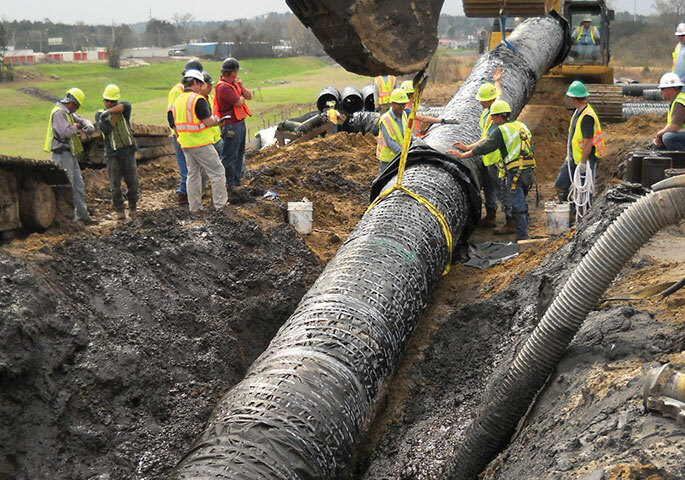 Federal regulators are taking another look at the pipeline industry’s request to essentially eliminate the class location method for assessing the need for pipe replacement and change it by expanding integrity rules beyond high consequence areas (HCA). The Pipeline and Hazardous Materials Safety Administration (PHMSA) published an advanced notice of proposed rulemaking (ANPR) at the end of August to that effect, but the notice appeared to indicate that PHMSA under President Trump might not be any more sympathetic to the pipelines than it was under former President Obama. PHMSA submitted a report to Congress in 2016 casting doubt on the benefits of ditching the class location requirement, which INGAA calls “obsolete.” The report, which was submitted to Congress in April 2016 concurrently with the publication of a notice of proposed rulemaking (NPRM) titled “Safety of Gas Transmission and Gathering Pipelines,” noted that the application of Integrity Management (IM) program elements, such as assessment and remediation timeframes, beyond HCAs would not warrant the elimination of class locations. In the Aug. 30, 2018 ANPR, PHMSA continued to express doubts about replacing the class location system. “PHMSA is concerned, however, that some issues that result in pipeline failures, including poor construction practices and operational maintenance threats, are not always being properly assessed and mitigated by operators, whether due to lack of technology or other causes,” said PHMSA. Increases in population force an interstate pipeline to confirm safety factors and recalculate the maximum allowable operating pressure (MAOP) of the pipeline. If the MAOP per the newly determined class location is not commensurate with the present class location, current regulations require that pipeline operators reduce the pipe’s MAOP to reduce stress levels; replace the existing pipe with pipe that has thicker walls or higher yield strength to yield a lower operating stress at the same MAOP; or pressure test at a higher test pressure, if the pipeline segment has not previously been tested at the higher pressure for a minimum of eight hours. INGAA argues that when a class location change occurs, current regulations may require operators to replace the existing pipe even when integrity assessment has shown it to be in safe, operational condition. In a submission to PHMSA, INGAA estimated that gas transmission pipeline operators incur annual costs of $200 to $300 million nationwide by replacing pipe solely to satisfy the class location change regulations. Congressional legislation since the Pipeline Safety, Regulatory Certainty and Job Creation Act of 2011, signed by President Obama in January 2012, has instructed PHMSA to evaluate whether IM system requirements, or elements thereof, should be expanded beyond HCAs. With respect to gas transmission pipeline facilities, PHMSA is also considering if applying IM program requirements or elements to additional areas would mitigate the need for class location requirements. Like much else at PHMSA, the regulatory process on this issue has unrolled very, very slowly. FERC Chairman McIntyre announced steps to speed up environmental reviews of LNG applications as the White House Council on Environmental Quality (CEQ) undertakes a rulemaking to potentially revise portions of the National Environmental Protection Act (NEPA). FERC is in some circumstances hamstrung from approving LNG (and transmission pipelines) projects because of current NEPA requirements. In listing some of the changes, including a new memorandum with the Pipeline and Hazardous Materials Safety Administration (PHMSA), McIntyre listed several LNG project regulatory schedules, which ostensibly will lead to the completion of environmental reviews at a faster pace than would otherwise have been the case prior to the reforms. One of the 12 projects McIntyre announced schedules for was the Alaska LNG. Frank Richards, senior vice president of Alaska Gasline Development Corporation (AGDC), builder of the Alaska LNG project and an affiliated 800-mile, 42-inch-diameter natural gas pipeline, wrote to the Council of Environmental Quality, which is considering changes to the NEPA.